MPCX is a financial services platform that uses digital Blockchain technology. 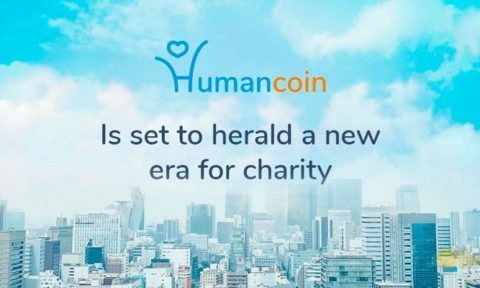 The company has long-term goals of integrating the various crypto financial services. 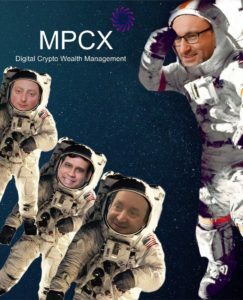 MPCX targets businesses and individuals working with digital assets, Cryptocurrency exchange services, Internet banking, crypto studies, and ICO marketing and lending. A team that has been in the finance sector for over 45 years leads the company. These individuals bring with them expertise crucial to the success of the business. Their client relationship experiences will be critical in the development of products tailored to meet the needs of their customers, giving the company a competitive advantage. • Management of digital wealth. • Distinctive crypto products such as crypto ETNs and Digital Investment Mandate (DSIM) among others. • Development of a Cryptocurrency exchange supporting the top 100 coins. • Crypto P2P lending etc. MPCX is planning to develop a Blockchain powered decentralized ecosystem to provide investors in crypto assets with financial management solutions. Blockchain technology has experienced enormous growth and has created many investment opportunities. Moreover, crypto markets run 24/7 further increasing investment opportunities. Crypto market capitalization stands at around $400 billion. The various ICOs have given rise to over 1500 coins, further boosting the market. Given that the market is still growing, more people will approach the company for assistance. MPCX platform will be working with XDMC tokens. All the services on the platform will be paid using the token. Later, the token will become the internal currency for the MPCX’s banking system. 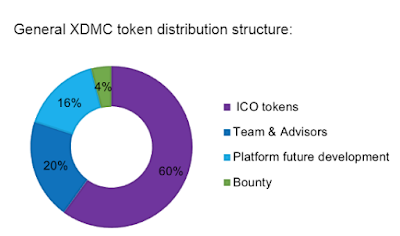 Those with XDMC tokens will earn returns when the token appreciates as a result of popularization and growth in the number of MPCX users. 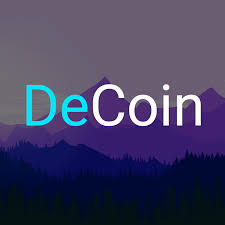 Moreover, the company will be awarding half of the returns made on the platform to XDMC Tokens repurchase program from holders and crypto exchanges to the community. The supply of XDMC tokens will be regulated by burning some of the bought-back tokens and restricting the sale of the remaining tokens to three months. XDMC holders will heavily benefit from the buyback program. Those wishing to buy the tokens can do so during the ICO or on the various exchanges immediately after the first ICO. MPCX is led by Iurii Riabykin, as both the founder and CEO. Phil Millo is also a founder and remains critical in the in MPCX development. Alex Kozak is a co-founder and a senior legal advisor of the company. Md. Sadek Ferdous is the project’s chief technical advisor. MPCX believes it has the potential to disrupt the banking and asset management areas. Using Etherium Blockchain, the company hopes to provide its customers with world-class crypto trading and asset management services.